The Renault-Nissan-Mitsubishi alliance will tie up with Google to develop autonomous taxis and other services using self-driving vehicles, the Nikkei reported on Tuesday. 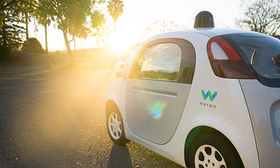 Google's self-driving car company, Waymo, will work with the carmakers and announce a plan for the arrangement as early as this spring, the business daily reported. The partners are considering the joint development of unmanned taxis using Nissan vehicles and a system that handles reservation and payments, the Nikkei said. Renault-Nissan-Mitsubishi spokesman Nick Twork said, "This story is based on rumors and speculation. We have nothing to announce." Last month, Nissan Motor Corp. said its board remained committed to the carmaker's alliance with Renault SA and Mitsubishi Motors Corp., after directors met to discuss the ongoing investigation into former chairman Carlos Ghosn and ways to bolster governance.